1000 pounds of blossoms produce one pound of Jasmine oil! It is harvested by hand before sun rise to preserve the delicate scent. No wonder Jasmine is expensive and is one of the most adulterated oils. Jasmine belongs to Oleaceas plant family, and is the only one in this plant family. Monopoly! An intoxicating oil, Jasmine is sweet and floral. 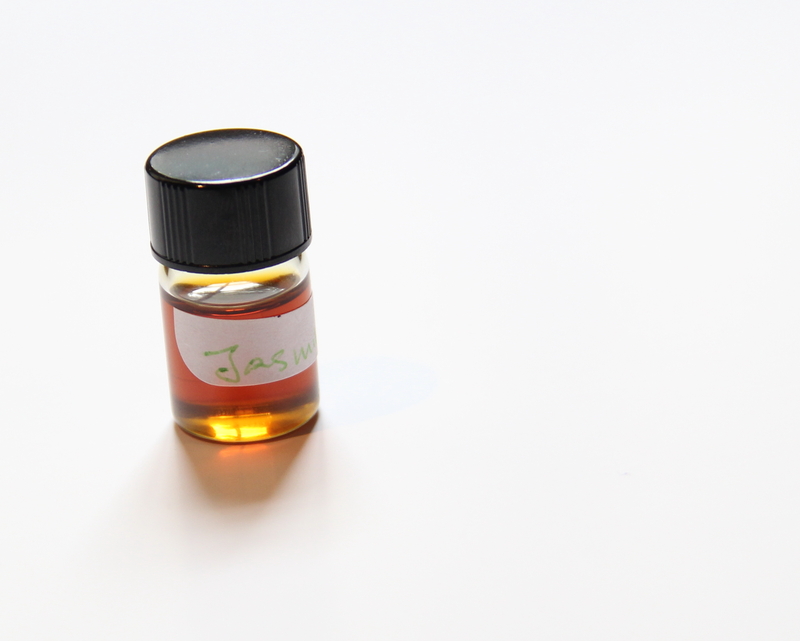 Like Ylang Ylang, Jasmine has long lasting aroma, and a drop or two is enough in a 1 oz blend. So what is Absolute? Some plants, especially flowers are too delicate to be steam distilled for oil extraction. Absolute is one way to extract the precious essences from them. A hydrocarbon solvent is used to extract a mixture of 50% wax and 50% volatile oil. Ethyl alcohol is then used to separate the volatile plant oil into the alcohol. The alcohol is then evaporated and the result is a pure plant extract, like Jasmine absolute. The Esters in Jasmine lend emotionally uplifting quality to the oil, and is used to combat depression. Like Ylang Ylang, Jasmine is considered an aphrodisiac. What is a better way to use this voluptuous oil than a perfume oil? Mix all ingredients and store is a glass roll on perfume bottle. There you have it, all natural perfume oil. Apply to wrists, temples, behind ears and sternum as often as you like! Where can you purchase this nifty bottle? Click on the image of the bottle to purchase them. I purchased from them and the bottles are great! Both Vetiver and Petitgrain are calming to the nervous system and Sweet Orange is uplifting. 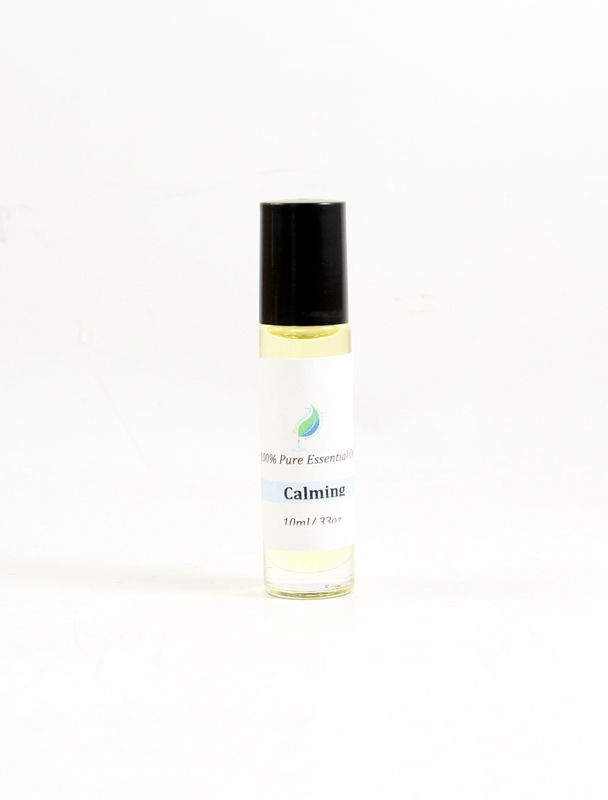 Emotionally, this is an effective blend to combat stress, depression, or anxiety. The aroma is exotic and floral with a hint of earthiness. The addition of sweet orange rounds up the sweet Jasmine and woody Vetiver or Petitgrain, resulting in a balanced aroma. 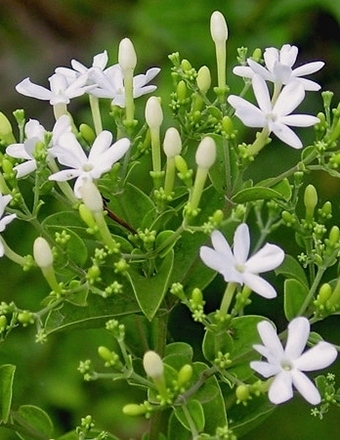 Jasmine is often used for dry, sensitive skin. 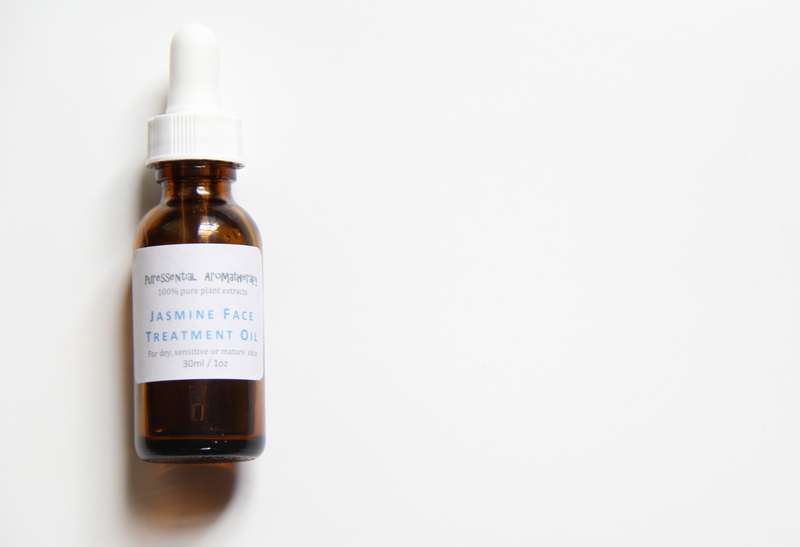 I created a Jasmine Face Treatment Oil for dry sensitive skin. You can purchase it in my ETSY shop here. Next postMoment & Motion – Step Afrika!